With Batman: Under the Red Hood and Batman: Year One DC and Warner Bros have proven that they are able to translate their most famous property into great animated features. 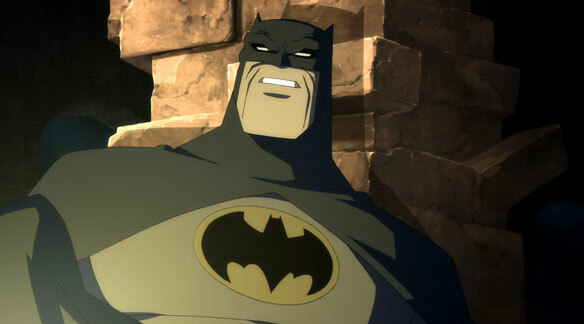 Their latest entry in the animated Batman series is an adaptation of Frank Miller’s legendary graphic novel The Dark Knight Returns. And once again they have done the caped crusader proud, because The Dark Knight Returns is fantastic. In fact, this is the first of two parts based on this material (the next one will be released in 2013). In part one we deal mostly with the resurgence of Bruce Wayne as Batman, the rise of the Mutants and the birth of a new Robin. Frank Miller wrote a compelling story about getting older and despite the odds going above and beyond duty to clean the city up and Bob Goodman (not a new name to the DC Universe) took that story and distilled a wonderful screenplay out of it. It is a more condensed version and it moves like gangbusters. It is compelling from start to finish and it will leave you wanting for more when you’re done. I for one can’t wait for the next part to be released. Lethal Weapon is a true modern classic. Along with Die Hard it represents some of the best genre filmmaking from the ’80s and I absolutely adore it. 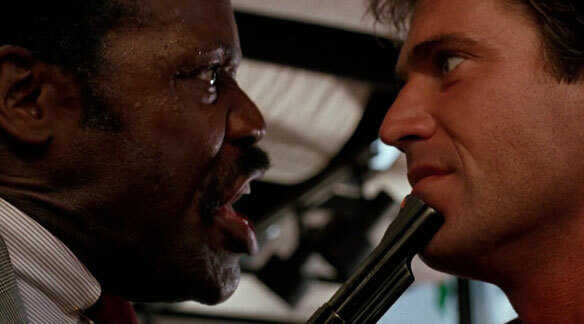 I return regularly to the adventures of Riggs and Murtaugh to see how a buddy cop movie should be made. Danny Glover and Mel Gibson work exceptionally well together in a thriller that never really stops to take a breather. Lethal Weapon works so well because we care about these characters. Martin Riggs is a suicidal cop who has to deal with the death of his wife and he is not doing a very good job. He is constantly on the verge of doing something to himself and his reluctant partner Roger Murtaugh doesn’t really need the hassle of babysitting Riggs. It’s the moments that Riggs has to deal with his problems that make the movie. Especially the scene when Riggs is sitting on the couch with his gun and the right moment Bugs Bunny is heard in the background saying “Merry Christmas!” is a perfect piece of acting and directing. And later there is the confrontation between Riggs and Murtaugh after Riggs jumps off a building that truly cements our sympathy for these characters. That scene will leave you breathless. With our sympathy firmly in place the rest of the outrageous story can unfold and we are there every step of the way with these guys. That’s what makes this one of the best buddy cop movies out there, if not one of the best movies ever made. It certainly is very high on my list of favorite movies ever.